The word Giclée (zhee-klay) comes from the French word gicler meaning “to squirt, spurt, or spray”. 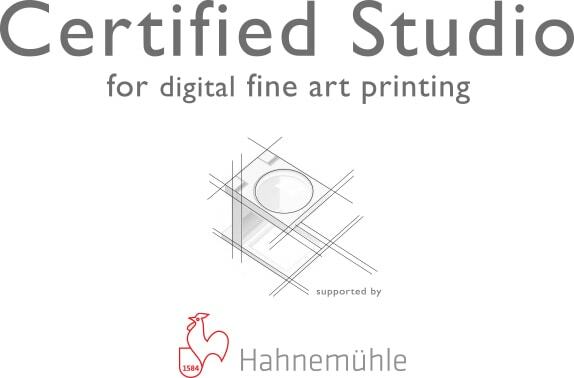 The term is now generally accepted to describe high quality art and photographic inkjet printing, on fine art and photo papers, using archival pigment inks. Giclée printing is perfect for fine art reproduction, photography, digital art and illustration. The first advantage is the archival permanence of Giclée prints. According to Wilhelm Imaging Research, pigment prints offer significantly better colour fastness depending on inkset and paper type. Our EPSON Ultrachrome HDX and HDR inksets are amongst the most archival on the market today. The second advantage is the huge selection of different papers and canvases available (see our Giclée range for all available surfaces). The third advantage is dynamic range and colour gamut (range of colours). If your work features vibrant, saturated colours, our prints will allow you to reproduce colours that are usually out of gamut in traditional C-type and digital C-type prints. How long do Giclée Fine Art Prints last? We use EPSON Ultrachrome HDX and HDR archival inks and only acid free papers and canvasses for the finest and most long lasting prints. Even though the term “archival” is not quantifiable, no standards exist that describe how long an “archival” print would last, appropriately stored prints or prints framed under glass, depending on the paper, expected to last at least 80-100 years in good environmental conditions and always away from direct sunlight. Prints framed under glass with UV protection will last even longer. 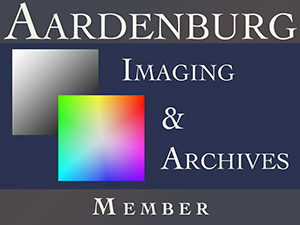 Please visit Wilhelm Imaging Research and Aardenburg Imaging & Archives for more information and detailed analysis. Also, please read carefully “Do Giclée prints require special care and handling?” further down on this page. Yes, free of charge but if you’re ordering by email or on the phone please ask for this service. Do I have to use a calibrated monitor? Proper monitor calibration will save you time and money. If your monitor has not been properly calibrated your prints are unlikely to match your screen. At Digitalarte we support a fully colour managed workflow. All our paper profiles are optimised for our system and are available on request. Please email us if you need to use any of our profiles. Yes, in theory we can print any size. All prints are custom printed to your exact size. We do not charge a setup fee, we do not charge extra for non standard sizes and for sizes not listed we do not charge the same prize as the next size up. Sizes not listed are priced pro-rata by the total square cm required. Prices are calculated based on total paper size, including borders. Large format prints are output on a roll of paper and as such can be anything up to 44in wide by several metres in length if required. How do I save my files ready for printing? Please upload your files as 8bit, flattened TIFFs, PSDs or JPEGs in AdobeRGB or sRGB colour space. Resolution should be set to 300dpi at final print size. If you’re unsure or need help, please call us on 0208 858 3076 or email us with your query. Turnaround time depends on the quantity, size and paper type and our workload but usually takes approximately 3-4 working days in the studio, from receipt of your order. Turnaround time for large orders may take longer and will be negotiated with client on an individual basis. We will always try to be flexible to meet your deadlines, however all guide times are subject to current workload. How much do you charge for some expert help with colour management, working one-to-one with master printer (client directed printing work) or retouching? Your first 30-60min would be free (depending on project), with additional hours charged at £60+VAT per hour. We will only charge you for the time spent using the system, in increments of 30min. What can you print from? We can print from digital files, TIFF, PSD or JPEG but not from raw camera files. You can supply us with original prints, paintings, negatives or transparencies. All material supplied must be copyright free, for example we cannot reproduce images from books without the written consent of the publisher. Original prints and paintings have to be photographed or scanned first and negatives and transparencies scanned. If I need borders on my prints, should I add them to my images first? Borders are part of the image size so the image must be scaled and placed on a larger canvas if borders are required. This is either something you can do or we can do for you free of charge. Best for prints to have 1-2cm border as this makes it easier for a professional mounter/framer to drymount the print or frame it using a window mount. Please ask for this service. Can I print from PDF files? PDF files have to be rasterised first, depending on size either at 300dpi or 600dpi and saved as 8bit, flattened TIFFs, PSDs or JPEGs in AdobeRGB or sRGB colour space. Do Giclée prints require special care and handling? Can Giclée prints be mounted on a backing material? Absolutely. There is a range of options suitable for mounting our Giclée prints like, aluminium, Dibond, MDF, Perspex face mounting and traditional card window mounts. Monday to Friday 10am – 6pm, and Saturday 2pm – 6pm. Closed on Sundays and public holidays. Access to the studio is by appointment only. Please call us on 0208 858 3076 or email us for an appointment. By credit or debit card in person or over the phone and by Paypal. We accept VISA (debit and credit), MasterCard (debit and credit), Contactless and Apple Pay. Please contact us for more information. Yes, we offer a 10% student discount on all our services. Courier (next day/up to 5kg), £11.50+VAT per tube or flat package – Up to A3 flat and larger than A2 rolled in a tube. Royal Mail (next day special delivery/up to 1kg), £11.50+VAT per tube or flat package – Up to A3 flat and A2 or A1 rolled in a tube. We offer a UK mainland courier next day delivery or 1-2 working days delivery by Royal Mail to all UK destinations. For international deliveries, expected shipping time is 5-10 days. Please contact us for delivery prices to other countries. Will my prints be shipped flat or in a tube? We can either ship flat or in tubes, depending on your request. However, when it comes to A2 and larger prints, we ship in tubes. Very Important! Save all of your packaging and the damaged prints. Couriers and Royal Mail will ask to see all of this to determine reimbursement. We will ask you to take and send us photos of the exact damage. Simply call us 0208 858 3076 or email us and we’ll be more than happy to answer your questions.